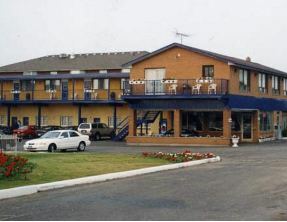 The Avenue Inn is a CAA/AAA Approved motel in the heart of Niagara Falls Ontario. Located in the entertainment district of Niagara on Lundy’s Lane, this motel is nearby the Canada One Factory Outlet Mall and a short drive from the Falls and the surrounding attractions. The guestrooms at the motel have been newly renovated and include free local calls and free continental breakfast in the lobby. Also available is free parking, a heated outdoor pool and Falls Shuttle Service.